23 acre, eco-friendly, SIS campus is designed by a young and inquisitive team from “Archihaus”. The Campus is built on the ethos of ECO-EFFECTIVENESS with ever living and ever evolving sustainable architecture, where, the architecture of the building is molded to respect “nature”, as compared to the prevailing practice of molding built volumes to optimize commercial usage, giving the campus a positive and lively feel. At SIS, even pathways and courtyards are intended to be places to stay, learn and evolve and not just mere places to pass. SIS provides a safe and secure environment for its students with state-of-the-art security and monitoring system. Special procedures and systems are in place to perform a thorough background check of every staff member before hiring. To ensure safety of your child, as per our admissions policy, at the time of admission you will be asked to fill the “Authorized Persons to Pick up Your Child” form. Only persons nominated by you through this form will be allowed to pick up your child from the school. The SIS Staff will monitor all the arrivals and departures, thereby maintaining the highest levels of security at all times. 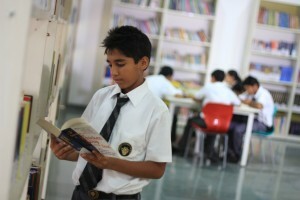 At SIS, each classroom has been designed with emphasis on providing a vibrant and safe learning environment. Each classroom has been tested by a qualified optician for adequacy of lighting and seating distance from the boards. The color scheme of classrooms is conducive to learning. The classroom’s spatial geometry is so arranged that the participants (teachers and kids) can create and re-create their own play-learn ground. 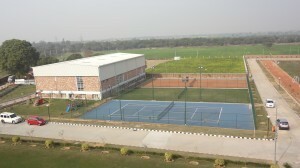 The building at SIS incorporates the principle of “building as a learning aid”. With plenty of open spaces, the building design provides facilities for project work, open learning environment and inspires the students to “explore”. The furniture is built using child-friendly material to provide a safe and comfortable learning experience. To complete the overall academic spectrum, SIS provides distinct and separate laboratories for practical sessions in Physics, Chemistry, Biology, Mathematics, Language, and Astronomy & Social Studies in accordance with the curriculum. ICT is an integral part of the curriculum right from grade 1 and is introduced as a tool to enrich students’ knowledge base, help in problem solving areas, with proper exposure to practical applications including internet. In addition to a fully fledged ICT lab, each classroom will have interactive boards & multi-media projector to enable e-learning. ‘Reading market a full man, conference a ready man and writing an exact man’. A well equipped library forms the pivot of enhanced learning as it endeavors to inculcate a love for books in children, acting as a perfect catalyst to the learning. 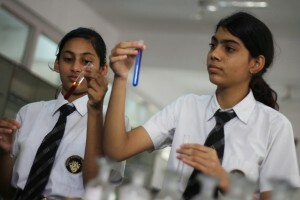 To tap the creative potential in students, SIS offers a unique feature in the form of open art studios and an exhibition gallery which showcases and celebrates students’ work that helps a child to explore his/her passion. The need of the hour is to introspect, self-evaluate and evolve spiritually, emotionally, mentally & physically. SIS lends ample opportunity and experience for self-actualization, through harmoniously designed meditation room. 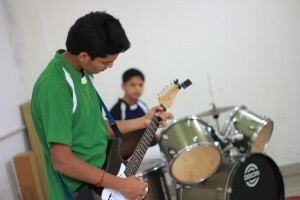 Creative skills are distinguished by a high level of interest in music & fine arts and this is strongly encouraged at SIS. Skilled professionals help students to develop their expressive artistic potential and tap it to the hilt. 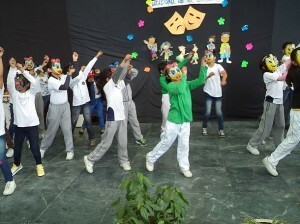 Students are also exposed to public speaking and histrionic skills through elocutions, debates, school plays and theatre. The Hostel is equipped with air-conditioned rooms with attached bathrooms. The interiors have been designed to provide a balance between rest and study areas for the students. A committed House Master, like a parent, adds to the personal development of the resident students. The code of conduct based on the universal values of love, care and justice is followed at SIS. SIS has a state-of-the art kitchen to provide multi-cuisine dining with stress on quality, nutrition and hygiene. The food is prepared by expert cooks in a hygienic and spacious environment. The menu is prepared by an expert dietician to provide a balanced and healthy diet to young children. 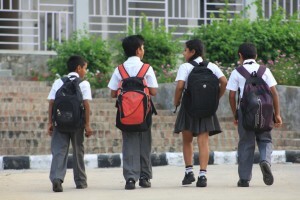 The school has modern medical facilities supported by qualified medical staff. Facilities for nursing of common routine ailments and accidents are available 24×7. SIS has engaged qualified physiotherapist to treat any sports related injuries. SIS provides dedicated transport services for students through a fleet of air-conditioned buses equipped with GPS trackers, mobile phones and first-aid kits. 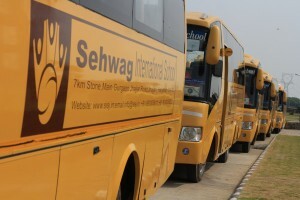 Each bus is managed by an experienced driver, a trained conductor and a lady assistant (in case of girls in the bus).